Football’s greatest legend, Brazilian World Cup winner Pele is expected in Nigeria for a historic visit in August as part of events planned by the Winihin Jemide Series and Youth Experience Days Africa. 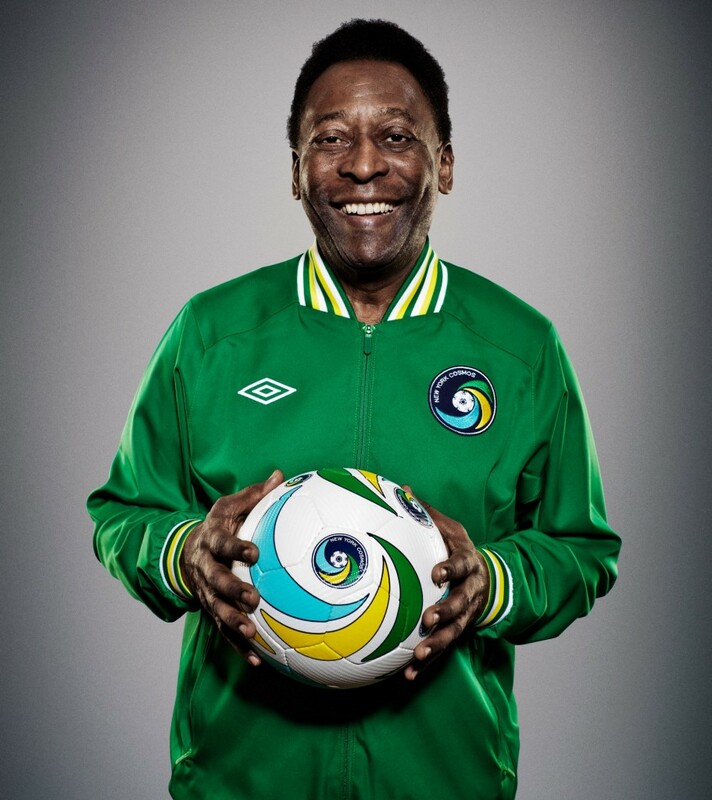 Born Edson Arantes do Nascimento, the three-time World Cup winner will headline a youth football tournament that will take place at the Astro-Turf in Ikoyi as well as a leadership meeting with Corporate Nigeria. Famous for scoring 1,281 goals during his career, Pele won the first of his three World Cups as a 17-year-old at Sweden ’58 before adding two more titles at Chile ’62 and Mexico ’70. The WJS/YEDA Legend Edition 2016 is a 2-day event (11th -12th August, 2016) focused on youth development and empowerment through a once-in-a-lifetime inspiring experience with Pele. The event will involve football loving teenagers and parents, key figures from various state governments, the corporate sector and the Nigeria Football Federation. The event will include a sports clinic (Legend tournament), a Gala Night with Pele and other African football legends. It will also include an auction of Pele memorabilia at the Gala night with proceeds from the auction expected to be donated to an eligible local youth football academy. Pele has received an honorary knighthood from Britain's Queen Elizabeth II and was named "Athlete of the Century” and "Player of the Century” by the International Olympic Committee and Fifa respectively, amongst many other accolades. This will be Pele’s second visit to Nigeria; the first in 1967, was occasioned by a 2-day cease fire during the Nigerian Civil War which allowed the warring sides to watch the Pele & Santos FC team play an exhibition match in Lagos. Fans can register for the visit via the official website.